Is your default antivirus detecting “vbs:malware-gen” infection every time you perform a full scan? Don’t worry! The following post has possible ways on how to remove vbs:malware-gen.
How Dangerous is VBS:Malware-gen worm? How to Remove VBS:Malware-gen worm? VBS:Malware-gen is a Windows computer threat belongs to worm category. Mostly this threat reaches the computer via spam email sent by other sufferers, spam websites, and the corrupted media updates. Once the victim open or run the VBS:Malware-gen file, it automatically copies itself with various AutoRun.inf file. After that, it starts infecting other drives on the computer. Mostly, the system drives and removable USB drives are highly prone to this worm infection. Download and install malware on the PC. Use your PC to perform click frauds. Give remote hackers access to your PC. It can share your private information like credit card number, social security, and related stuff to the rogue servers. Disable security programs like antivirus. Fake driver updates which in result install malicious programs on the PC. Show advertisement of malicious program on the website which you visit often. VBS:Malware-gen worm has the potential to do a lot more, so it is a good idea to remove it from the system as soon as you identify the same threat. There are lots of ways using which you can quickly get rid of this threat. I have mentioned all of them in upcoming lines. The first step to get rid of any malicious item like VBS:Malware-gen is to break the link between rogue connection and malicious worm file available on the PC. You can do that by disconnecting the internet connection. When you do this, the infected file will not able to connect to rogue hacker server and become powerless. Sometimes the default antivirus detects the VBS:Malware-gen worm, but fails to remove it. It is because the database is not updated so better try to update your antivirus program to latest build available. Sometimes the default antivirus like Windows Defender that comes preinstalled on Windows 10 fails to remove the threat. In this situation, it is a good idea to try best third-party antivirus program available on the Internet. Like AVG, ESET Internet Security, Malwarebytes, and others. Launch Task Manager. For that, press ‘CTRL + SHIFT + ENTER‘. Alternatively, make a right click on the Windows 10 taskbar and from the context menu select Task Manager. On the left side, right click on the VBS:Malware-gen and choose ‘Delete‘. In the Windows 10 Start menu search bar, you need to search “VBS:Malware-gen” and delete all the results containing the same name. Note: Even if the file has a different extension, you need to delete them. The file can be VBS:Malware-gen.dll or VBS:Malware.exe and related. To delete the file, make a right click and choose Delete. Chrome– In the address bar of Google chrome paste “chrome://settings/resetProfileSettings“. A dialog box will appear. Simply click on the Reset button. Firefox – In the address bar of Firefox paste this address “about:support.” Here you need to click on the “Refresh Firefox” button, and this will reset the Firefox browser. Edge – Launch the Settings app -> Apps -> Apps & features. Scroll down until you find Microsoft Edge. Click on Advanced options and click on Reset button. Once you are done with resetting all your web browsers. Reboot your system. 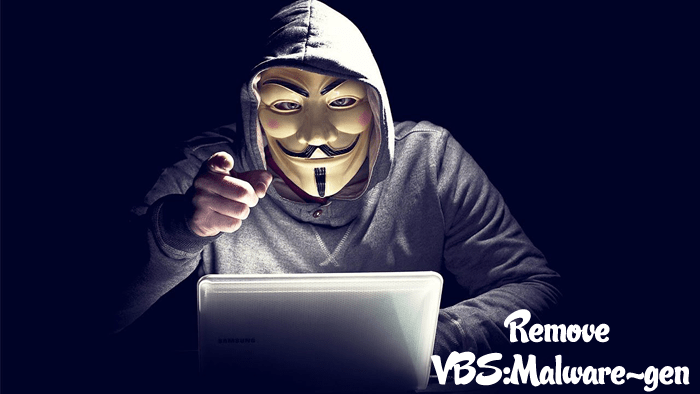 These are the following possible ways how to remove VBS:Malware-gen. I hope you find these methods useful.